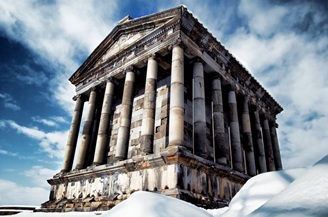 The temple of Mihr, the God of Sun, is a unique Hellenistic edifice. 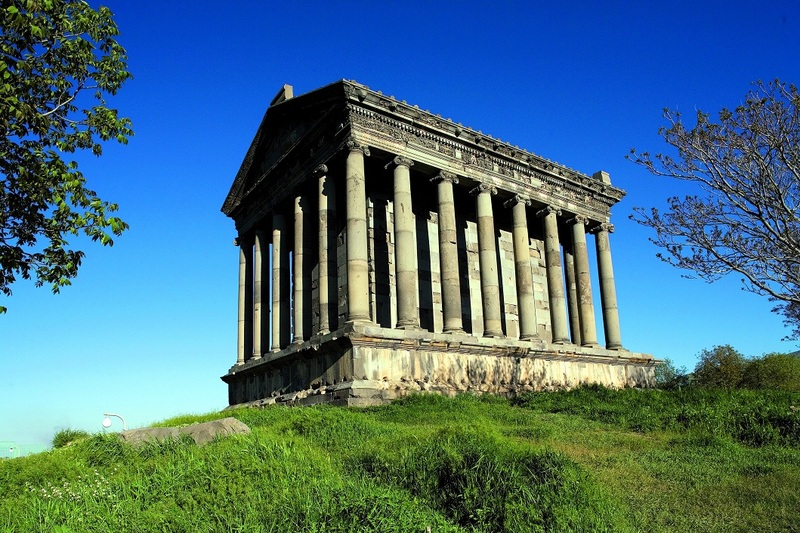 It was preserved even after the official adoption of Christianity in Armenia. The reason for that is the fact that the temple used to be on the premises of the royal summer residence. 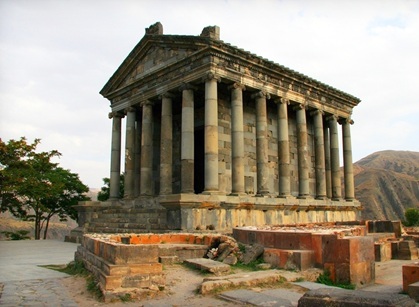 The temple was built in 77 A.D. by the Armenian king TerdatI. In 1697 it was badly affected by the earthquake and restored in 1970s.